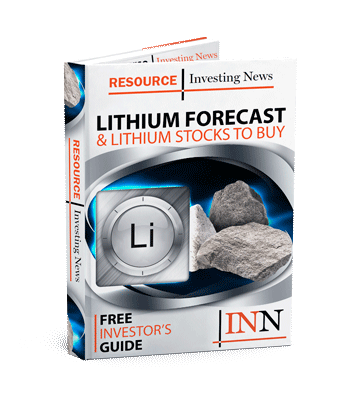 At the Prospectors and Developers Association of Canada (PDAC) convention, the Investing News Network spoke to Benchmark Mineral Intelligence Managing Director Simon Moores about the future of lithium-ion megafactories, raw materials supply and what’s ahead for battery metals. “This time around, I sent a more direct message […], and I think that message got through,” said Moores, who added that Benchmark Mineral Intelligence will work closely with senators and departments to keep the momentum going. Moores also talked about lithium-ion megafactories and how global battery capacity in the pipeline has increased since Tesla’s (NASDAQ:TSLA) announcement of Gigafactory 1 in Nevada. Speaking about the energy storage revolution, Moores said delays are a given because of the scaling up needed in the raw materials supply chains. But what is the biggest solution to these delays? Investment. For Moores, the money to fund these projects will need to come from the car industry. “Another option is big mining companies and oil and gas companies,” he added. Watch the video above to find out more about Moores’ thoughts on lithium, cobalt and graphite and what investors should focus their attention on this year. You can also check out our other PDAC 2019 interviews here.